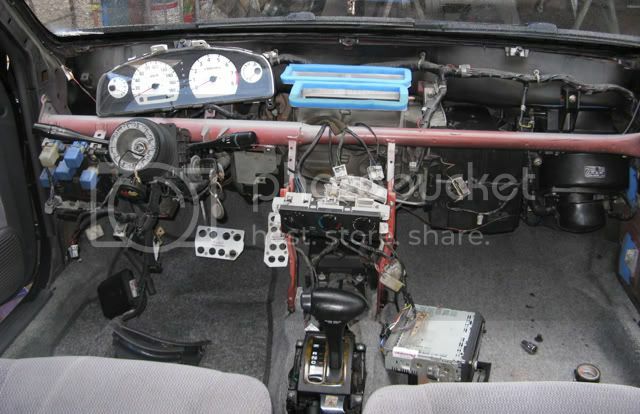 Assembly of interior parts. It took me whole day for the assembly. I don't want any loose parts & rattling sound inside the car. I also removed my SWMBO stuff on the door pocket (sidings) that coz rattling when driving. 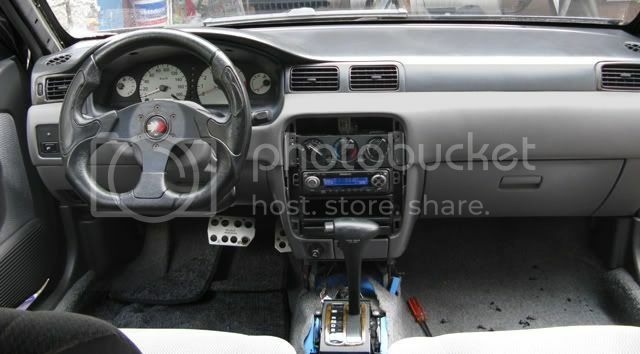 grabe tong project na to... baklas pati ang dashboard - galing! thumbs up!!! I also sorry about your car. Without interior car looks not good. So interior is most important part of the every think like home, car, offices, malls etc.In first image your car seat interior is really very nice. A very late reply but this is just an obesrvation. Car looks more of a toyota (vios or altis matic) based from the sidings, guage panel but got confused on the board of the ecu, Hitachi brand which i think denso made their ecu's (not 100% sure). Tasks for tomorrow dismantling the rear interior parts, i was surprised when i touched the back passenger side flooring of my car, basa yung carpet! Hi everyone today am here to share something with you which is that I have a leather car interior that is only 2 years old, but it looks used. How can I best clean it and make it look even newer? The leather is coated with the repellent stuff. Last edited by Anderson0; 06-22-2013, 12:36 PM. since open na yung comp box, paint it with clear coat after cleaning para hindi mahka rust yung mga pins ng IC at a little water resistant na rin.. Detailing the car's interior is an equally important part of the detailing process. Why? Because that's where you and your passengers are most of the time. The first thing that needs to be done is to thoroughly vacuum the interior. If you don't have a good vacuum, then you're better off going to a local car wash. You need a strong vacuum to do the job properly. Use compressed air to blow dirt from cracks, under seats, between seats, AC vents and around windows, center console, dash, etc. Vacuum all interior parts, beginning with the headliner and moving downward. When vacuuming leather surfaces, use the brush tool to prevent scratching the leather. Vinyl and metal surfaces are not as delicate so use whatever tool is best for the job. Seats. The seats must have special attention. Use the crevice tool where possible. On all seats, make sure you vacuum the seams. Dirt lurks in there and will eventually cause wear and deterioration. Floor. The floor of the car is always the dirtiest part. Give the floor a good brushing followed by a very thorough vacuuming. To do a really professional job, you'll need to shampoo the carpet with a commercial shampoo. Remove the carpet mats and shampoo them first. Use a water extraction machine or wet-dry vacuum to remove as much as water possible to speed the drying process. There are many vinyl/plastic cleaners and protectants. Some are all-in-one formulas, others are two-step. For deep cleaning, it is recommended that you wipe down all vinyl surfaces with a cleaner first, followed by a protectant/conditioner. For monthly maintenance, you may only need the all-in-one solution. Hard plastics like the gauge-cluster lens or overhead light won’t respond to most protectants and need to be polished much like paint. If you do not want a 'slippery' finish, avoid products that contain silicone. When properly cared for, (genuine) leather upholstery will last far longer than other upholster material. Cleaning and conditioning leather is very similar to caring for your own skin. To safely clean leather you will need a neutral pH cleaner (4.5 to 7.5 pH) and a leather conditioner suitable for upholstery. As leather interiors take very small amounts of conditioner to properly care for them, premium, high quality products are your best choice. Unlike vinyl and leather, fabric upholstery easily soils and stains. Clean fabric by using spray-on/wipe-off cleaners, or shampoo and wet-dry vacuum combination. Door panels are cleaned based on their material. For fabric, use shampoo. For vinyl, use a vinyl cleaner to wipe down the surface, then buff with conditioner. Likewise, use the appropriate cleaner/conditioner for leather. Clean interior glass using a two-towel method for best result. Use one towel for the initial wipe after applying glass cleaner. This removes majority of the dirt. Use a second towel for final wipe down to produce streak-free glass. Cleaning tinted windows requires special care. Don't use ammonia-based cleaners. 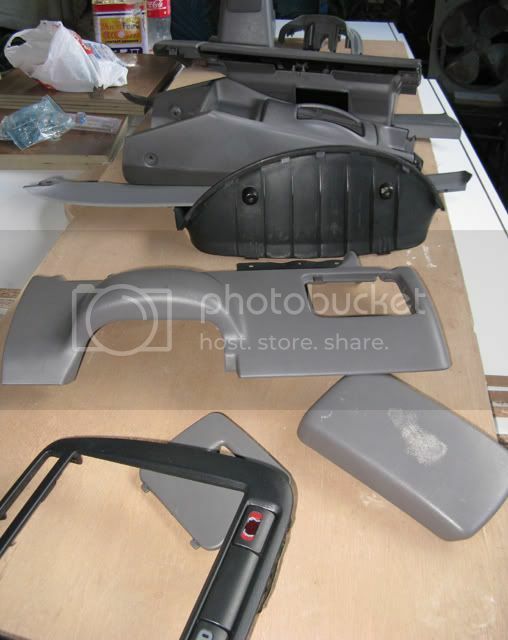 Want to clean the upholstery in my pajero and after doing a bit of research and using the bits i have, I have decided on the following but would like your expert advice on the upholstery cleaners there . What would you recommend?